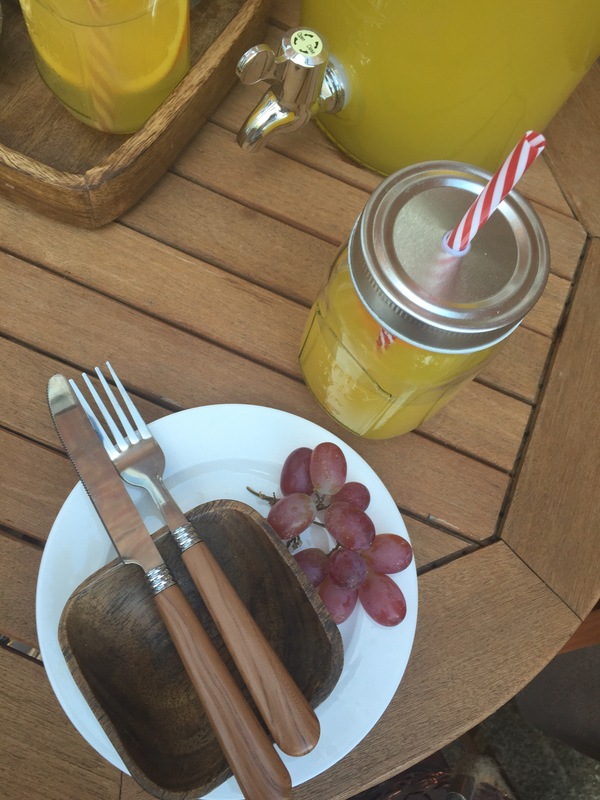 I love to dine outside in the summer and aim to do it as much as I can while the weather allows. 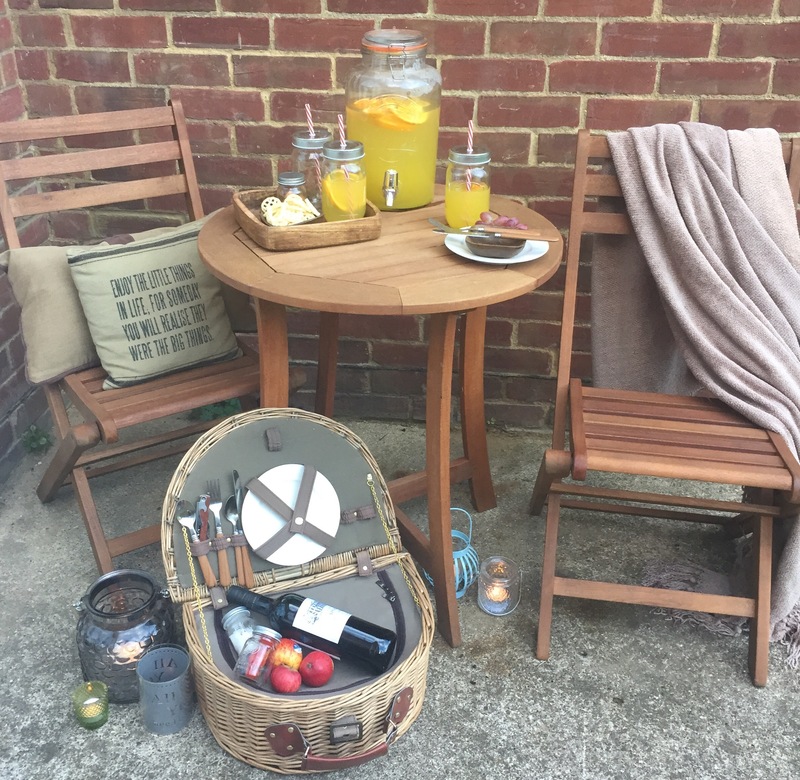 I have a huge collection of outside dining items both new and vintage which I have amassed over the years and we have a family outdoor dining table placed at the far end of our garden (to catch the best of the sun) and small bistro set on our patio right by our kitchen french doors. Ironically theres something missing at the moment…a BBQ! Our last one went to appliance heaven after many years of faithful service and I’ve not had time to replace it. 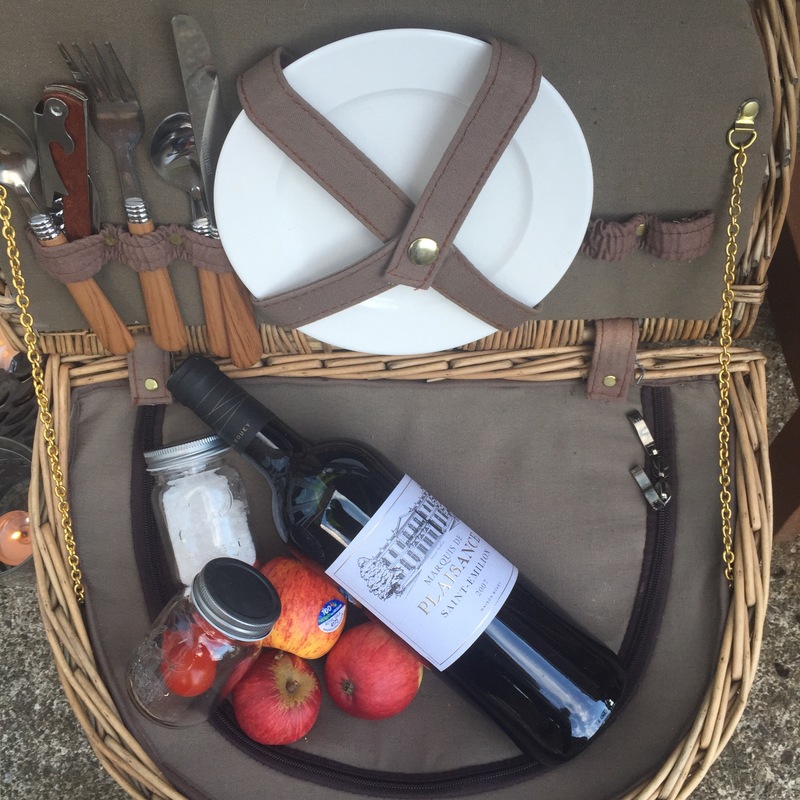 I do love to eat outdoors with family and friends and if I got a new one I know exactly where I’d put it – I’d place it against the wall that runs alongside our patio. It would be near enough to the kitchen for practicality, but still in its own little ‘outdoor zone’ for my style aesthetics. 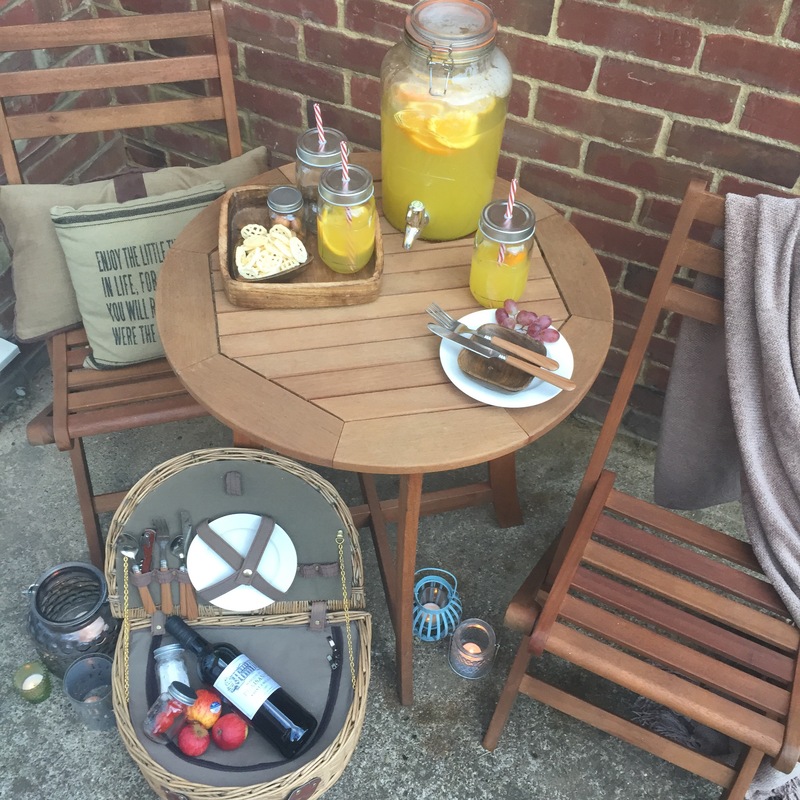 In todays blog I’ve styled up the space in my garden next to where I’d have the BBQ located and created a fantastic look on our bistro set using some of my favourite outdoor items that I hope you love! 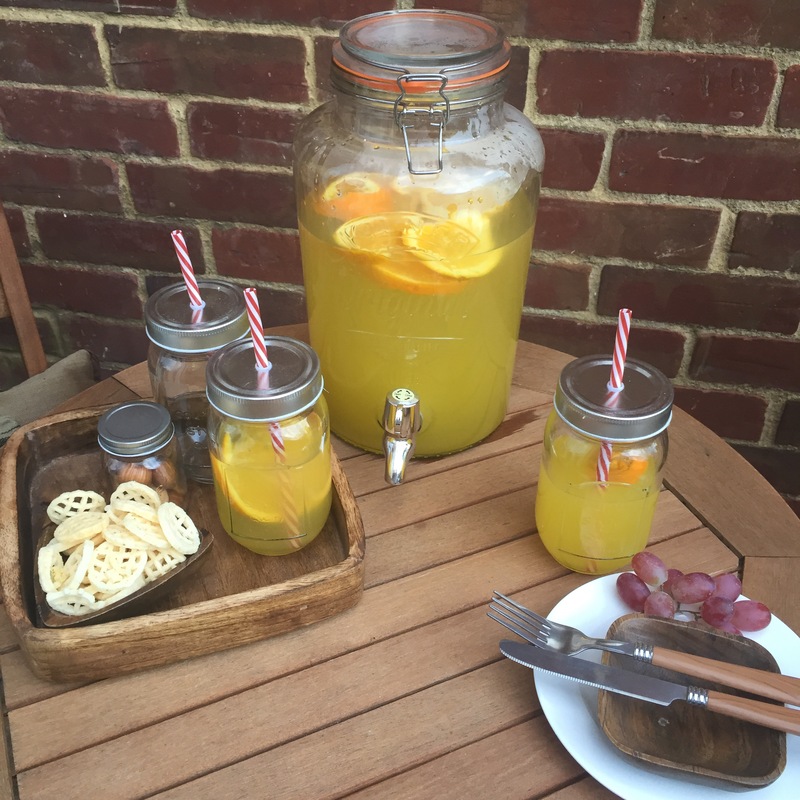 I have kept the colours mainly neutral and gone for a stylish ‘grown up’ setting with a rustic feel including my new Kilner drinks dispenser and mason jar glasses. 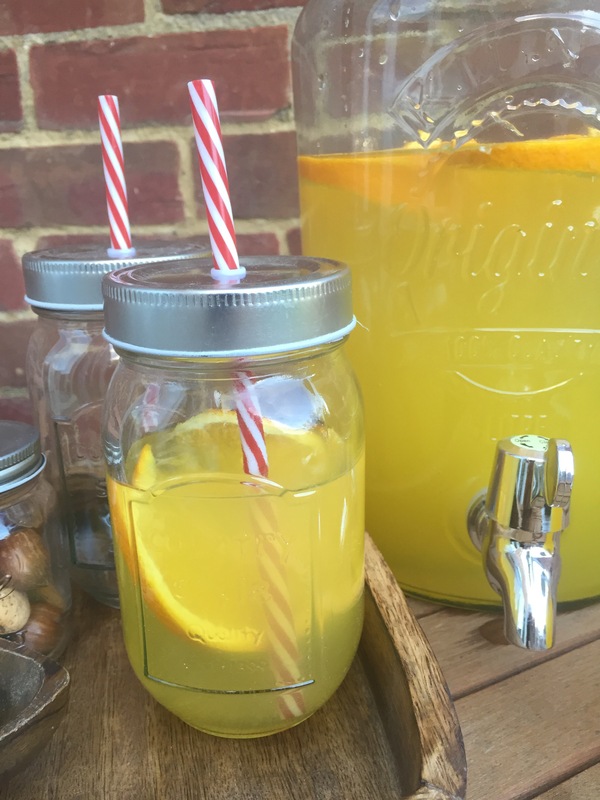 The bright colour of the orange fruit punch shines through and you just can’t help but feel summery (and thirsty!) looking at it. The 5L dispenser is from The Range and costs just £14.99 which I think is a great price. 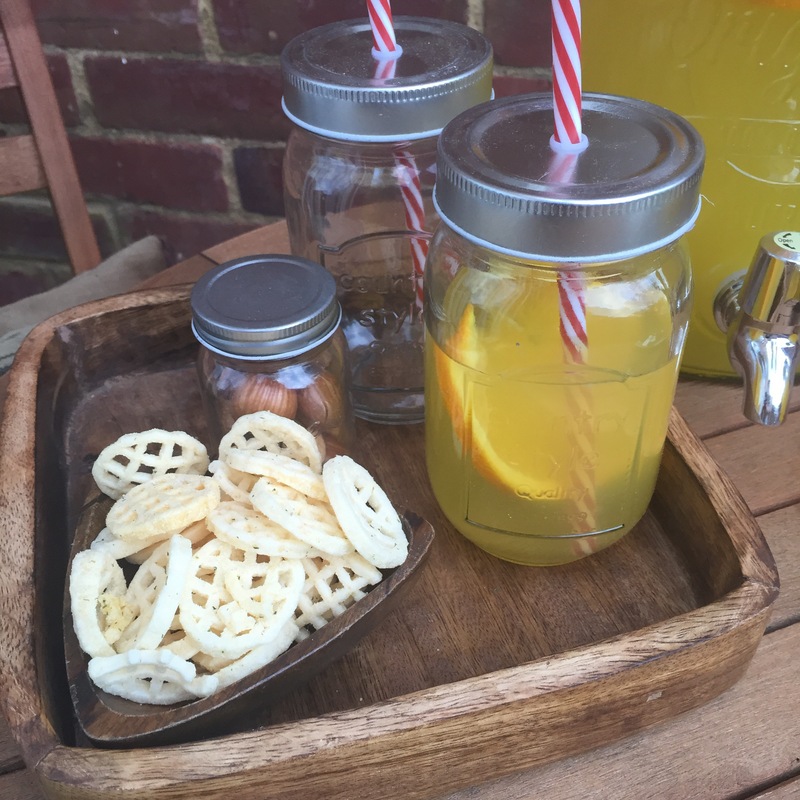 They also do matching Kilner jar glasses with handles but they come without tops which doesn’t work with a house full of kids, plus I personally don’t like the handled version (they seem too heavy and clunky for my style) so I’ve co-ordinated mine with smaller, prettier mason jar glasses from wedding retailer Confetti. 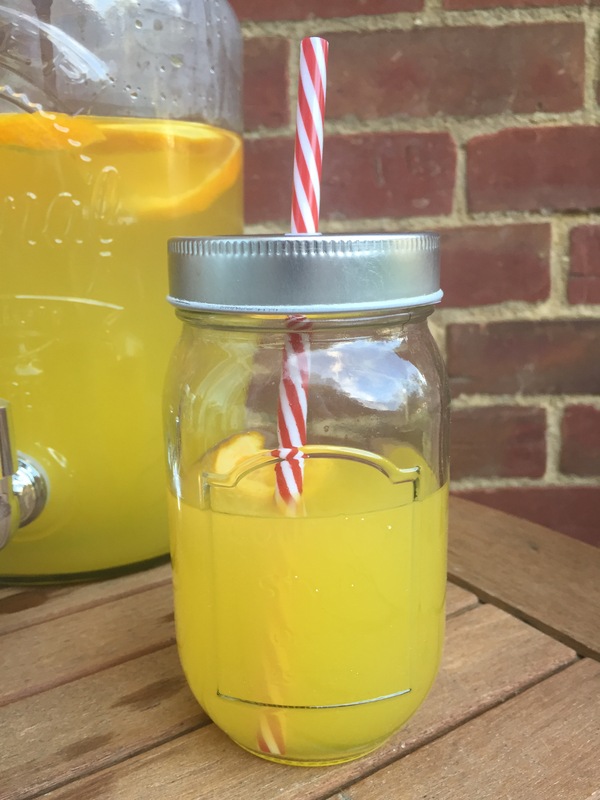 I love the rustic simplicity of a mason jar glass and the metal screw cap and washable straw means it can be used summer after summer. Yet again we have Pinterest (and America) to thank for the inspiration! 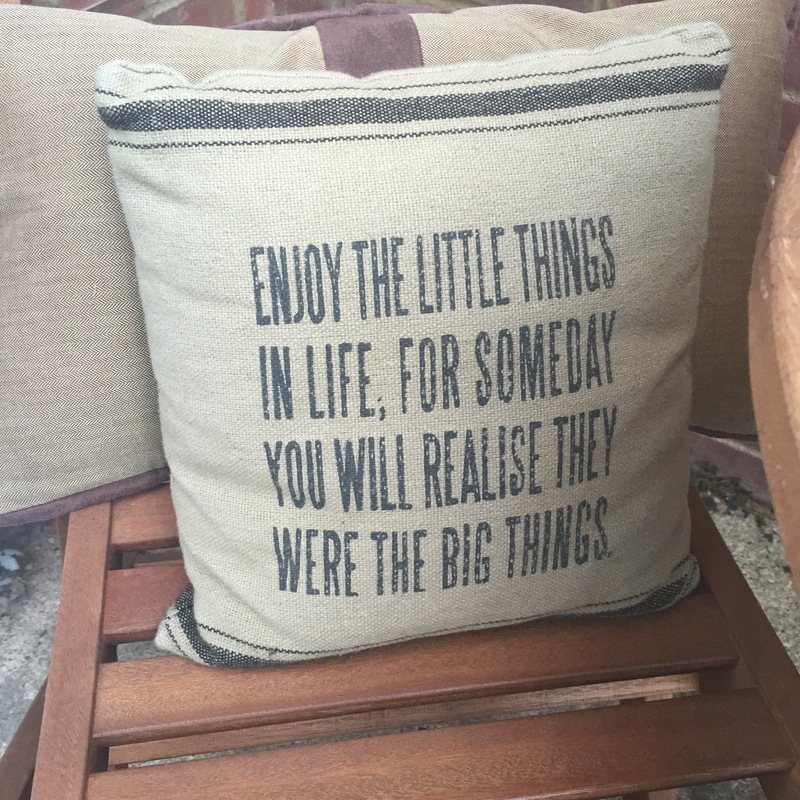 A chenille throw and a few cushions soften the look – I love the message on this Asda hopsack cushion – ‘Enjoy the little things in life, for someday you will realise they were the big things’. Wise words indeed! 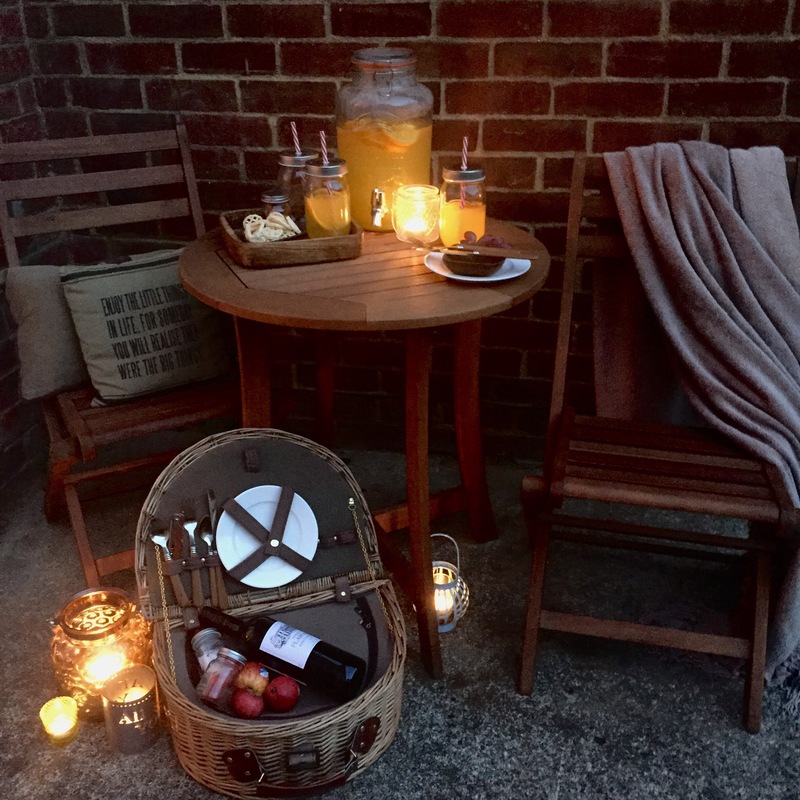 I always like to have a throw or two available for guests to keep them cosy as the night gets chillier – why stop your BBQ when the sun goes down? 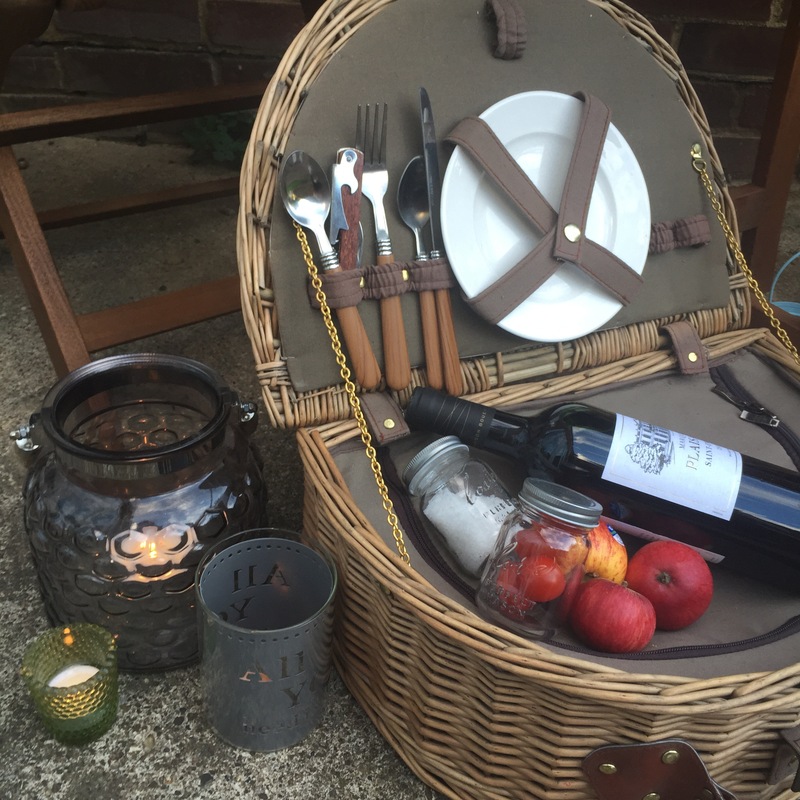 If BBQ’ing alone isn’t to your taste, how about setting up a pretty picnic basket, so that people can help themselves? This looks great but is also a clever way to display pre-prepared food such as sandwiches and cakes. 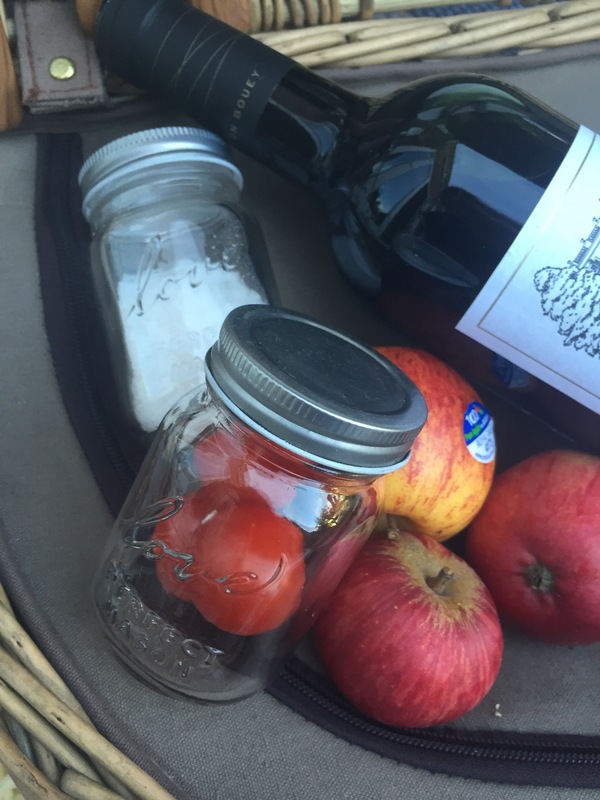 Store loose food in quirky containers such as these mini mason jars again from Confetti – theres no tacky Tupperware boxes allowed here! And once the sun goes down, light your candles – the glow from the tealights looks just lovely. 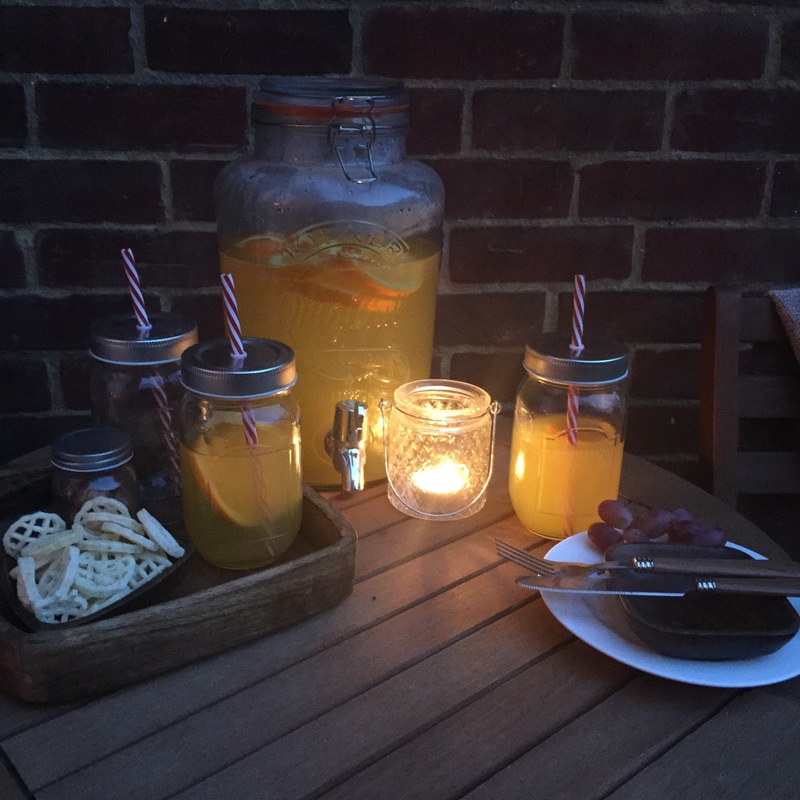 I love how pretty different sized candle holders look when grouped together – repeat this throughout your outdoor space to make any party look magical. Holders can be picked up cheaply and one of my favourite places to buy them is Store TwentyOne where they start at just £1. So get cooking outdoors this summer, surround yourself with your nearest and dearest, put on your favourite music and enjoy. I honestly couldnt do summer any other way! This is my entry into the Style Your Space competition via Direct Stoves. I love this! Especially in the evening! Yet another summer has passed & I have still not sorted out my garden! We have a huge (and I do mean huge) pizza oven in ours which hubs started building 6 yrs ago! It’s usable but still not quite finished!